Tax preparation is a chore, that for many people, can feel like an uphill struggle. If the time has come once again to submit your tax return, then you may be looking for an easier, simpler and more beneficial way to prepare your taxes. The opportunities available to you when you prepare your own taxes might not be recognized and capitalized upon. There are numerous avenues for mitigating tax exposure and boosting your returns that most, without financial experience, have little understanding on. It’s why it’s so important now to work with local experts in ensuring that your federal and state taxes are filed according to the latest regulations and with full knowledge of the available credits built into the system. At APA Financial Services, we have the solution that you’ve been searching for to minimize the struggle of tax prep and capitalize on the opportunities available to you. Our federal and state tax preparation experts are on hand to perform your tax preparation for you. With years of experience in tax law, we can revolutionize your tax preparation, enlightening you to the many opportunities out there to maximize your returns and minimize your exposure. Through professional assistance with your tax preparation, you can get the full benefit of a substantial knowledge of tax law and the latest tax regulations. If you want to make sure that your tax return is completely accurate and capitalizes on your available tax credits, then APA Financial Services are the Chicago-based experts to call. Tax preparation is a big responsibility, whether you’re preparing your own taxes or relying on a professional to prepare them for you. At APA Financial Services, we make sure that when you put your trust in us to prepare your taxes properly, you get an exceptional service. Before we prepare your taxes, we ensure that we obtain a comprehensive knowledge of your financial information. We’ll discuss your return will you in order to get a full understanding of the appropriate tax forms required and learn more about your income, expenses, and where you’re eligible for deductions and exemptions. As experienced tax professionals, we know exactly what challenges you can face when preparing federal and state taxes, and what opportunities there are available to optimize your return. When you put your trust in APA Financial Services to take care of your tax prep, it’s our aim to save you money wherever possible. Our dedicated approach to tax preparation means that we’re able to increase your yearly returns and save you money at the same time. We have a complete understanding of the complicated tax code, and we know what credits are available and whether you’re eligible to receive them. The team at APA Financial Services has a diverse range of tax knowledge that covers both business taxes and personal taxes, putting us in the optimum position to help you to properly manage your taxes. Our team are on hand to help you to efficiently separate your business tax from your personal tax, by making sure that the assets from your business and your personal liabilities are completely separate. With our help, you won’t have to pay any more than what’s strictly required as personal tax. Tax law can be difficult to understand, which can make preparing your own taxes a hard task, especially when you’re trying to capitalize on all opportunities there are to reduce your tax. To reduce the stress of understanding taxes, we’re always available to provide professional advice. Our team will work with you to devise the best strategy for your taxes, using terms that are clear and easy to understand. With APA Financial Services, you’ll never feel out of your depth when communicating with our experts about tax planning or preparation. Make the most of all the opportunities open to you and enlist our professionals to prepare your federal and state taxes. Just give us a call today or submit a form online and take a step closer to improved tax management this year. We know the complex tax code in this country and can help you to recognize the challenges and opportunities related to your particular filing. Our approach helps you save money while boosting your returns over the year. Our knowledge of both personal and business taxes gives us an advantage over others in the industry. We can help you to separate your business assets from your personal tax liabilities and ensure that you’re only paying the required amount for your personal tax exposure. We’re experts in communicating with those outside the industry on complex tax cases. 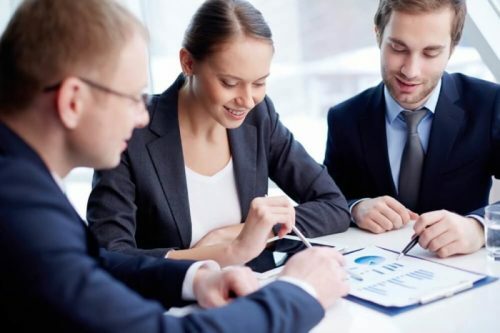 Our team has worked within the industry for several decades and can help explain the terms and the strategies harnessed by tax professionals. When you need clear advice from a trusted expert, we’re here to help. Book a consultation with a trusted professional today to begin the federal and state tax preparation process. Call us now if you have a question about your filing for the coming year.